Gifted Distant Healer and Pschic Medium, Tamalyn, has helped people improve their lives for over 16 years. In her empathic readings, she is able to precisely feel what is going on with her clients lives and then suggest healing strategies. Her extraordinary healings remove negative energy to allow for positive change. As a relationship psychic, she is highly tuned into soulmate energy. Soulmate have a bond that is God given and very distinct. She will also point out any controlling, third party individuals that may be directly or indirectly causing relationship problems. In your psychic reading, Tamalyn will tune into your aura to help you understand your issues. In relationship readings, she will look for indications of a soulmate relationship and explain to you how you can use this knowledge to your long term advantage. Any interferring third party individuals and energies will be pointed out. She will do in dept healing and reading of your aura, negative energies and relationships. Negative energies can have short and long term health consequences such as back problems, cold /flu, anxiety, asthma ect. Tamalyn guarantees her work, fee refunded if you are not satisfied. 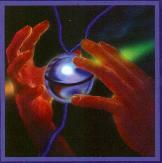 30 minute Psychic Reading / Healing Gifted Distant Healer and Relationship Psychic. Sample Reading - 10 minutes A short sample reading..
30 minute Psychic Reading / HealingGifted Distant Healer and Relationship Psychic.